Why should I play nicely with my competition? 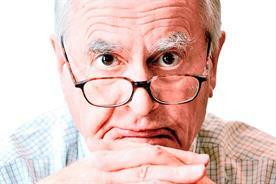 Our agony uncle Jeremy Bullmore answers this latest career dilemma. We have been invited to pitch for a huge FMCG brand. But the pitch involves 15 different agencies across four different disciplines, all ‘working together’. I don’t care what anyone says about collaboration. As an agency, I want to own my ideas, to be able to bring them to life. Why should I play nicely with my competition? Should I just walk away from the pitch? Every good agency has principles but not all good agencies have the same principles. You want to own your ideas. (Your clients may think that, having paid you for them, those ideas are theirs?) You want total control. If that’s your guiding principle, then you should certainly decline to take part in this pitch. It would confuse your people, you’d do it rather badly and your other clients, who’d hitherto accepted your inflexibility, might get a bit restive. But don’t just "walk away" as if in a huff. Give your reasons; it will help build your brand. It’s just as principled for an agency to pride itself on its ability to conform to whatever structure its clients demand and still to function. It doesn’t seem as noble but it doesn’t threaten integrity and it’s far, far more difficult to administer. Almost all big agencies have mastered this capability; they’d never have got big without it. I heard about the History of Advertising Trust’s anniversary do at the IPA last week with all those old Campaign photographs and it got me thinking. Hegel said we learn from history that man can never learn anything from history. Isn’t that true for our business? And, if so, why should we bother to support HAT? I’m not going to go head-to-head with Hegel. It seems to me to be one of those glib remarks much favoured by smart alecs who want to sound erudite but can’t be bothered, or are intellectually unable, to give the subject in question any serious thought of their own. If it means anything, it means that history is extremely unlikely to repeat itself precisely. Given the constant changes we continue to experience in communications and technology – to mention but two – this is an observation so self-evidently true as to be without value. But I am prepared to go head-tohead with you – because I know what you’re up to. You’re too lazy to learn about the origins of the trade that gives you a living and too mean to contribute to those who keep those origins alive. So you need a cover of respectability; you need to persuade yourself that your lack of professional curiosity and your refusal to put your hand in your pocket are in no way shameful. You need to believe that advertising’s future can learn nothing at all from advertising’s past. You need to believe – and you need others to believe – that you’re just being shrewd, rational, even admirable. So now let me start to rip that cover of respectability from your miserable form. It will give me great pleasure to do so. I expect you think that I’m going to appeal to your better nature; to remind you of the importance of our heritage and how you should "give something back" by helping to preserve it. Well, I’m not. Instead, I shall tell you what you can look forward to. You will increasingly find that your shrewd, rational, even admirable approach to advertising’s history will severely inhibit your own career; will lessen the contribution you can make to your company; and will deny your company’s clients a richness of advice they will sooner or later be offered elsewhere and will gratefully accept. It is impossible for anyone to become familiar with yesterday’s images, strategies and personalities without gaining a greater understanding of the basic nature of advertising. The more about yesterday you know, the more successful you will be tomorrow. And if not you, then others. For decades, most agencies, like you, thought the past irrelevant. Work, words and records were all sent off to landfill. Then, 40 years ago, a few of your predecessors thought otherwise and founded HAT. Thanks to them, and thanks only to them, you can still repair your ignorance. Is there anything else I can help you with?